Ano Mera. 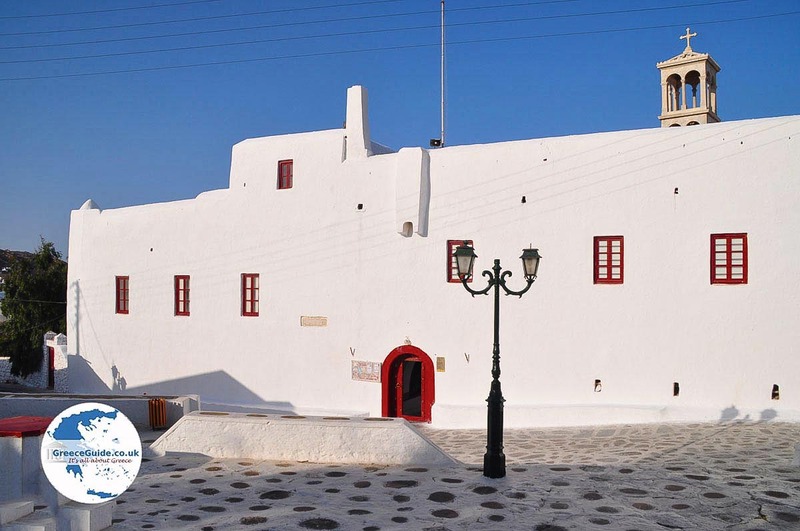 Ano Mera, with its white houses, tiny white churches and windmills is the most traditional village of the island of Mykonos. 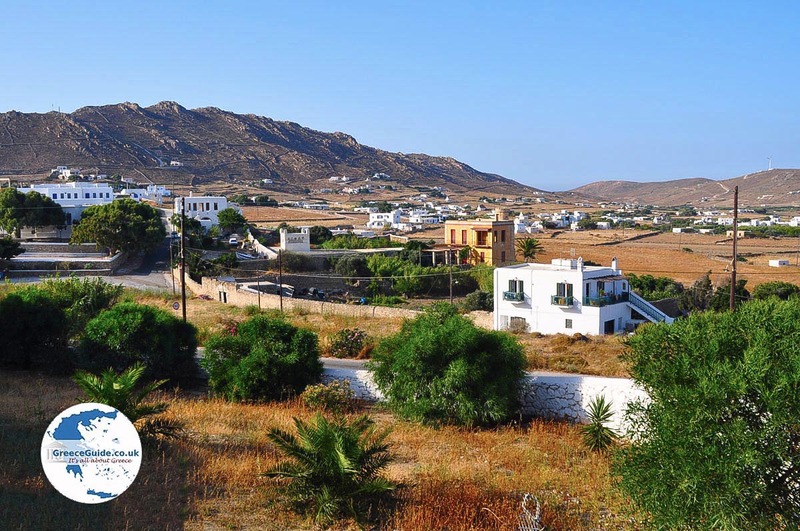 It is quite centrally located in a hilly area, eight kilometers (5 mi) east of Mykonos town. Ano Mera is a large village with about 1500 permanent residents. Hundreds of tourists stop daily at the center of the village. 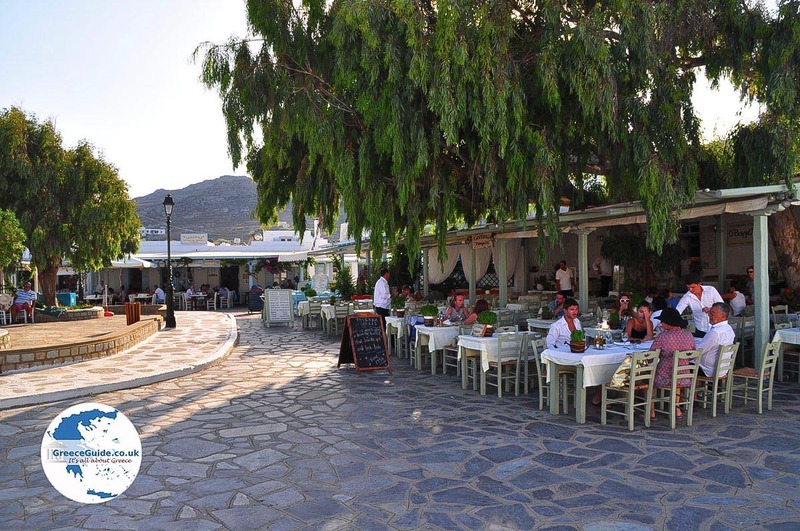 Half a dozen restaurants are located around the main square. But how traditional is Ano Mera actually, compared to other villages considered "traditional"? Actually, Ano Mera is not very traditional at all. 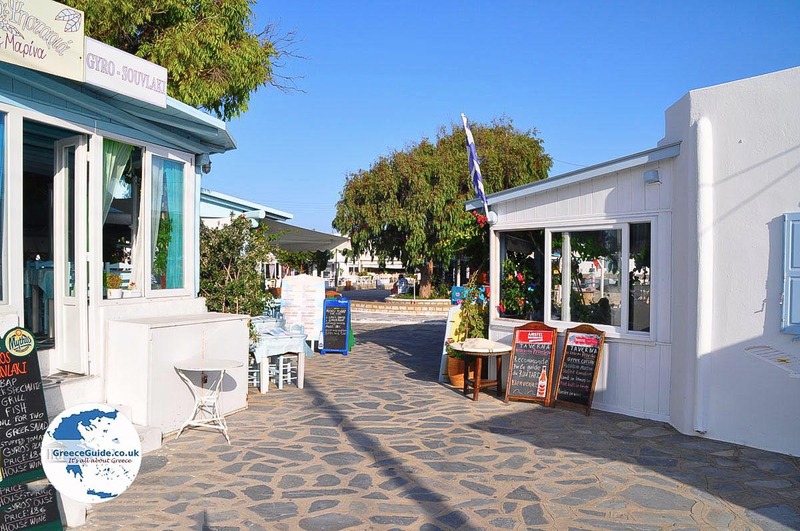 The village is completely organized around tourism. All activity is concerned with advancing tourism. 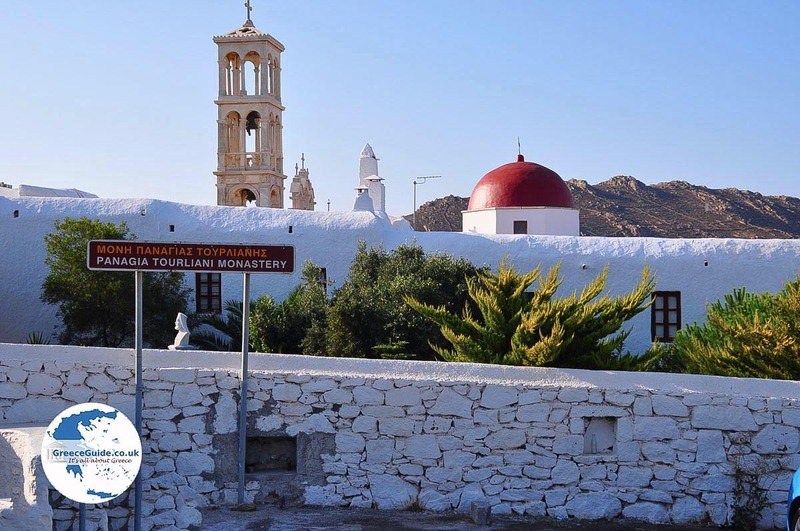 Next to the center is the Panagia Tourliani monastery. 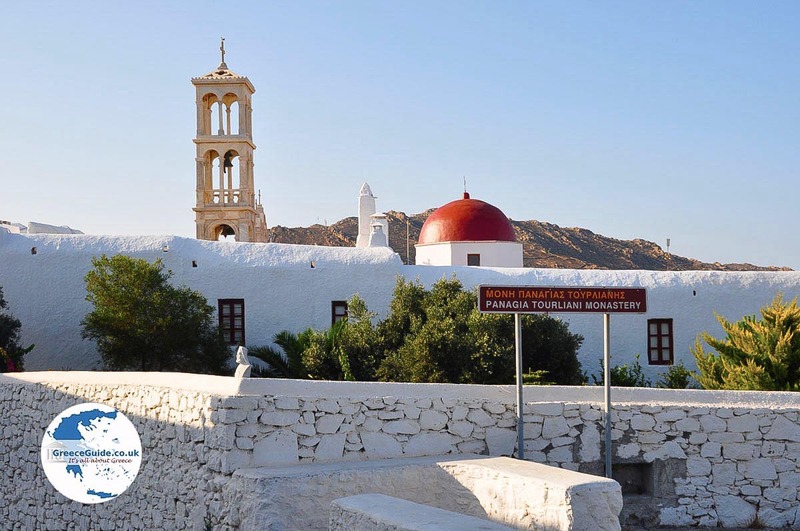 The church of this monastery was founded in the 16th century by two monks from Paros. 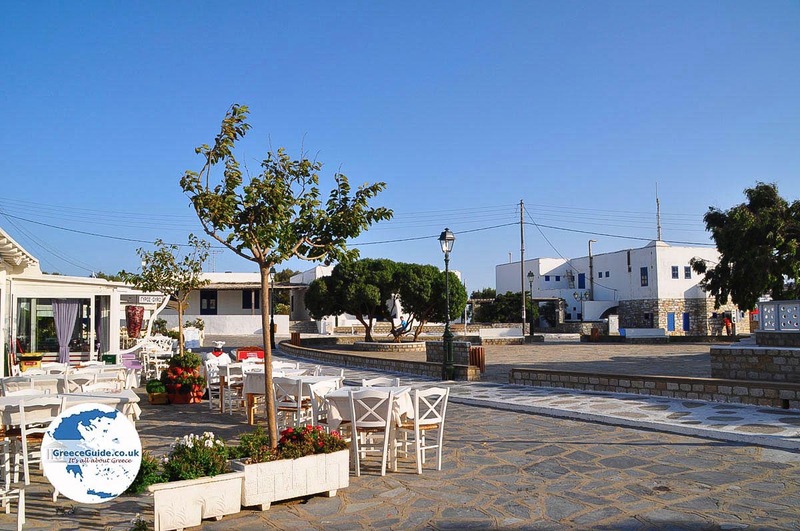 Each year, in honor of the Blessed Mother, a big party is held in the village square. 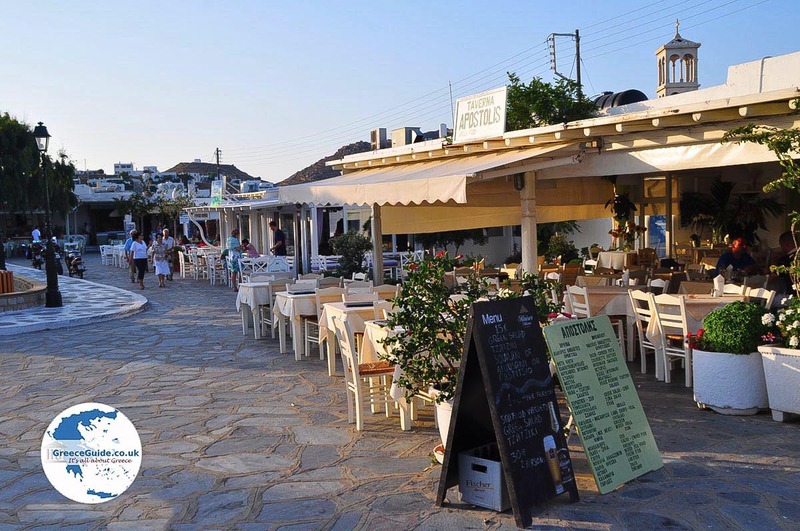 In Ano Mera you will find a few souvenir shops, a bakery and a supermarket. In addition, there are rooms for rent. 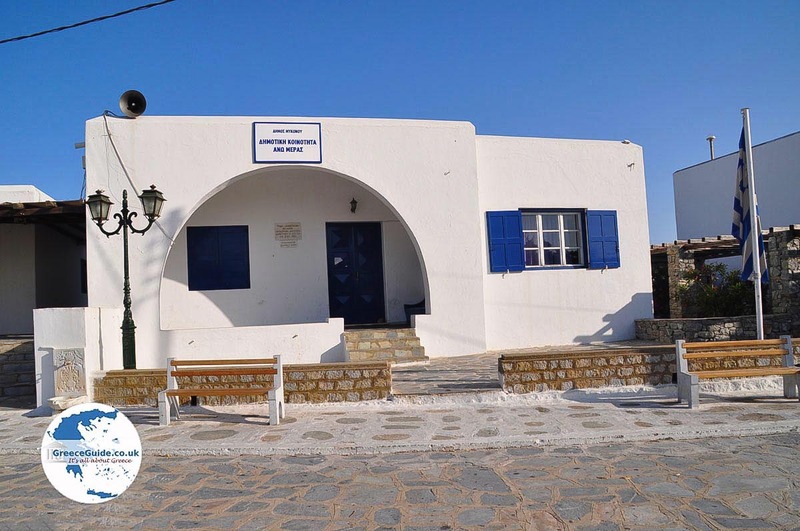 Larger hotels are located in the coastal towns, the nearest of which is less than three kilometers (less than 2 mi) from Ano Mera. 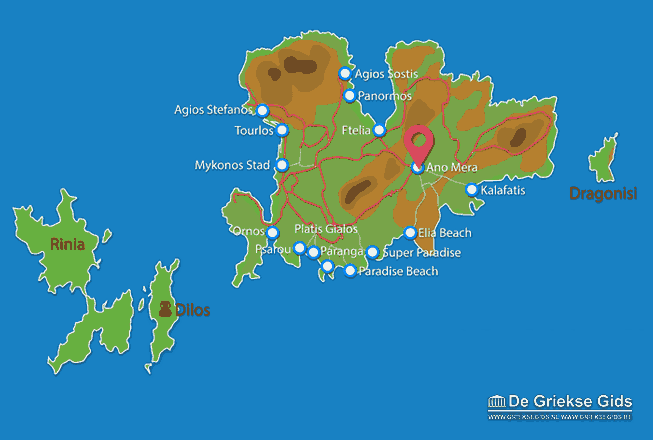 Mykonos: Where on the map is Ano Mera located?